Relate: A young student came up to his professor after class one day at a Christian university with a very serious issue. He told his professor that he didn’t even know if God was real anymore. The more he wrestled with the issue, the greater the doubts and the confusion was becoming. Everything he had believed up to this point was falling apart. Everything he had lived for up to this point was beginning to seem pointless. He was wondering if it might be time to pack his bags and leave school to go to a secular university instead. 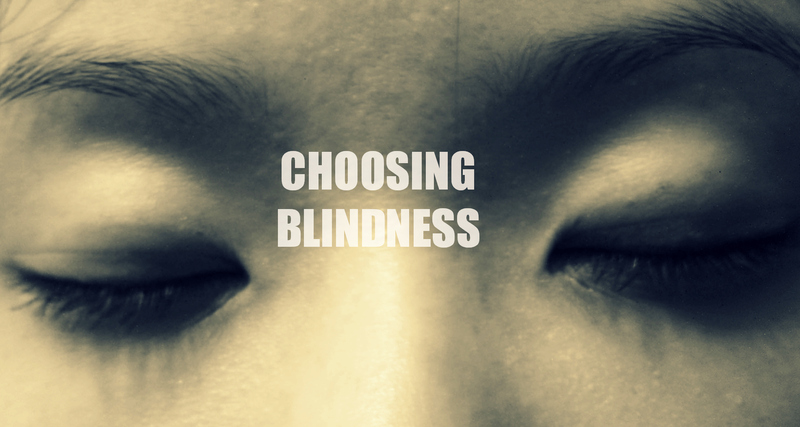 React: The man born blind presented a huge problem to the Pharisees. They were pretty much stuck with three choices. Either they could discredit the miracle, discredit the man, or acknowledge that Jesus was the Messiah. For them, the third option was not an option. THey could never do that. So first they tried to discredit the miracle. Again, it proved impossible. This man had once been blind. Now he could see. The facts were indisputable. The only option remaining was to discredit the man and that is just what they did. Like that seminary student, they chose blindness because it was easier and more comfortable than stepping into the light. When Christ calls us, He calls us to come and die. Where light goes, darkness flees. But death is uncomfortable. Sometimes we find we have grown to like the darkness. Jesus opened the eyes of the blind man and now he is able to walk in the light. The Pharisees chose to shut their eyes to the truth. And now they have gone blind. Do we even realize how our unrepentant sin is doing the same in our life? It is time to step into the light. It may not be comfortable, but it is the only way we will be able to truly see. God, keep my eyes open. Search me and expose any wicked way that I might be harboring. Bring it to the light. I don’t ever want unrepentant sin to make me begin to doubt You. I don’t ever want the comfortable preconceived notions of how things are supposed to be to keep me from seeing You as Truth. I chose You. I chose to see. Love this River Walk blog. Full of wisdom. Great quote from the professor in your story. Very true. Good quote from the professor in your story. Very true. I’m working on a study of Jesus’ Parable of the Ten Virgins and this SO resonates with me. To follow Jesus is to leave our old lives and to be made new. We can’t live with one foot in the Kingdom and the other in the world. you gat to read this……….